What is unusual with this icon? Why the figure of the saint has been changed? 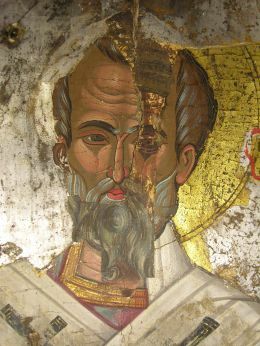 The icon that comes from Messina (Sicily) is votive. It is an offering of a seaman or a merchant of the area to a Church dedicated to Saint Nicholas, the protector of the seamen. 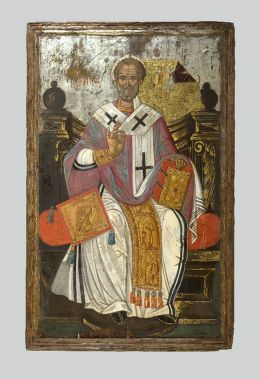 The “replacement” of Saint Nicholas probably was done circa 1743, when a plague epidemic erupted. 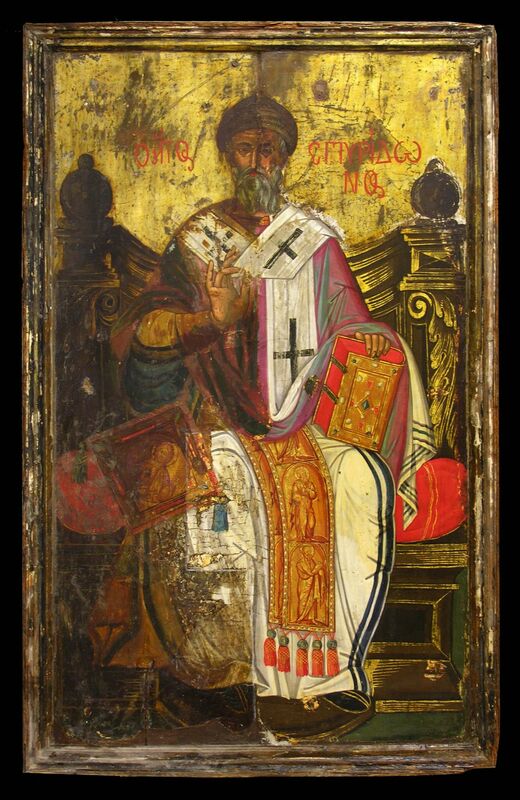 Then the icon was dedicated to Saint Spyridon which was considered a protector of people against the plague. How did the icon arrive in the Museum? 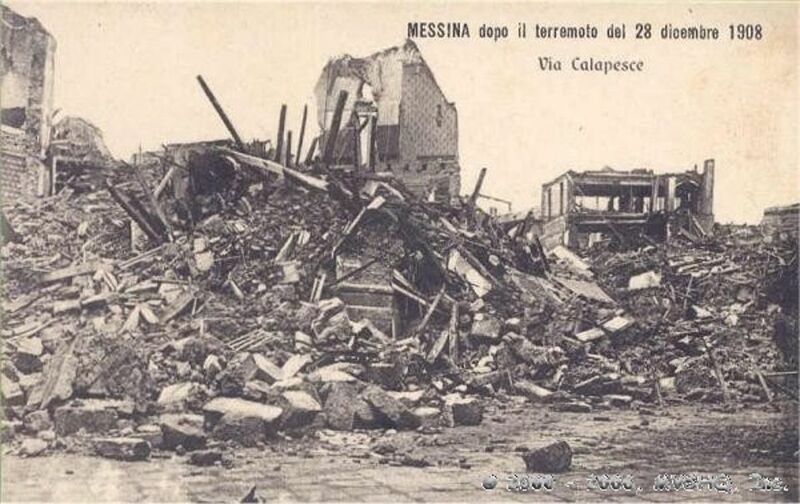 On 28 December 1908 the city of Messina was almost entirely destroyed by a big earthquake. A tidal wave of seismic origin and a fire followed, completing the destruction. Almost immediately the Greek State sent two military ships, the “Sfaktiria”, with an organized medical unit that helped to look after the stricken populations, and the “Creta.” Τhe sailors of the “Sfaktiria” disembarked in the city and tried to track down the relics of the Church of the Greek Community. After an excavation they found icons and liturgical vessels. All the objects were transferred to Greece and from 1915 onwards they are kept in the Byzantine & Christian Museum. 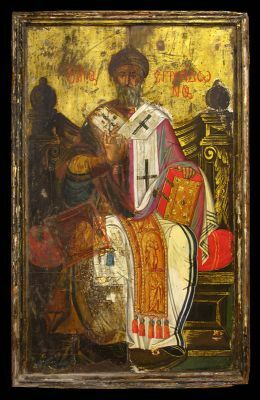 One of them is the icon of Saint Spyridon-Nicholas. In the photograph the ruins of Messina after the earthquake of 1908. 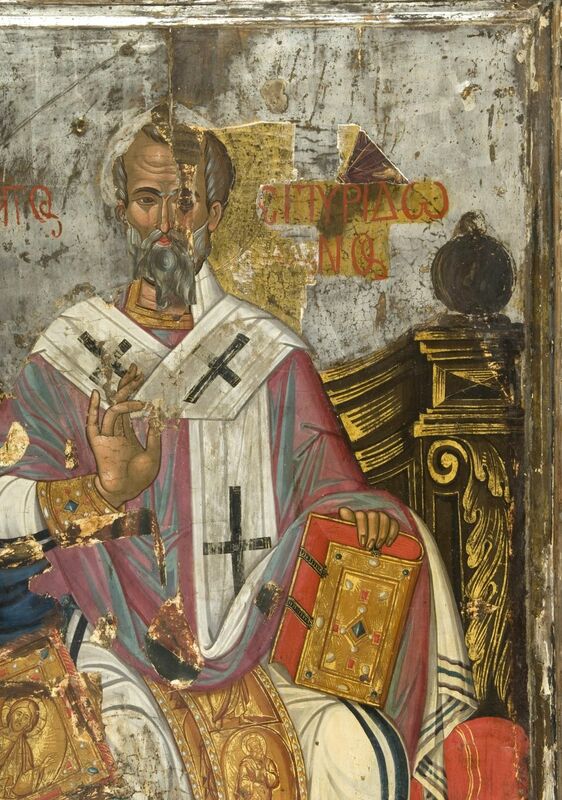 How has the existence of an older painting layer been discovered? In January 2012 the icon were to travel to Italy, where it would be presented in an exhibition. On this occasion it was examined macroscopically and microscopically in the Museum’s Conservation Laboratories. The examination revealed a second, earlier layer of painting under the surface.